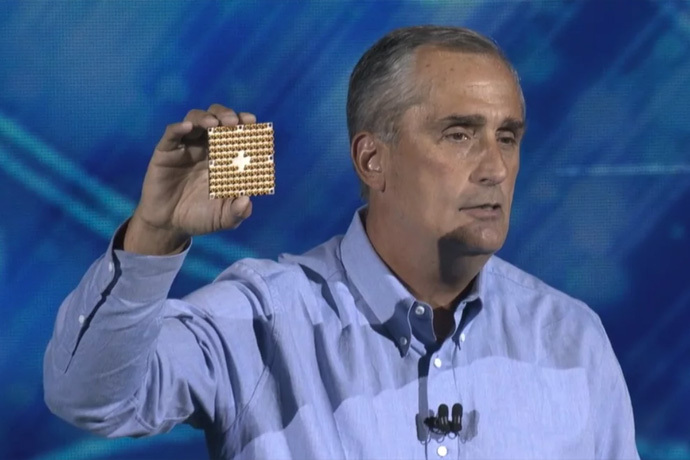 Intel Corporation CEO Brian Krzanich delivered the official 2018 CES preshow keynote Monday at the Park Theater in the Monte Carlo hotel in Las Vegas. Krzanich illustrated how data is transforming the world around us and how Intel is driving the next great wave of technology innovation, from autonomous driving to artificial intelligence (AI) to virtual reality (VR) and other forms of immersive media. Krzanich welcomes Professor Amnon Shashua, senior vice president of Intel and CEO/CTO of Mobileye, to the stage. 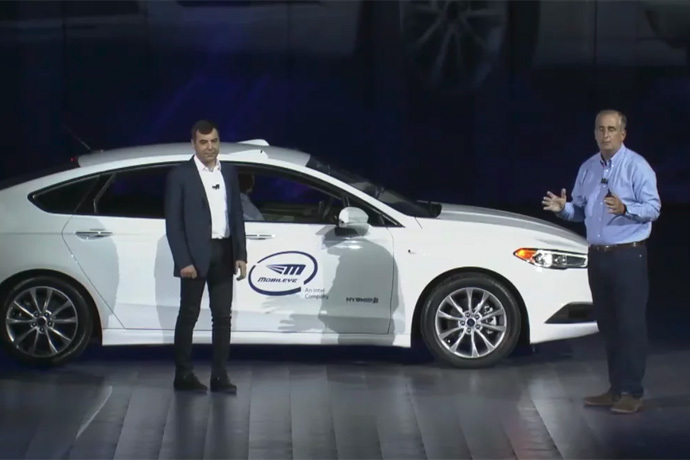 Shashua arrives in one of Intel’s first autonomous cars. With Volocopter CEO, Florian Reuter, looking on, Krzanich demonstrates the fully electric, vertical takeoff and landing aircraft designed for passenger transport. Intel unveils “Tangle Lake,” a 49-qubit superconducting quantum test chip. Intel matches a Guinness World Records title for Most UAVs airborne simultaneously from a single computer indoors when it flies 100 Intel Shooting Star Mini drones to wrap up Krzanich’s presentation.